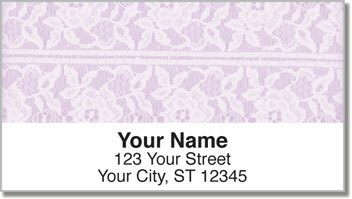 Give every letter and package you mail a marvelously elegant appearance when you choose mailing labels featuring lace patterns! Each of the four styles in this set depicts a different lace design against an attractive, violet background. 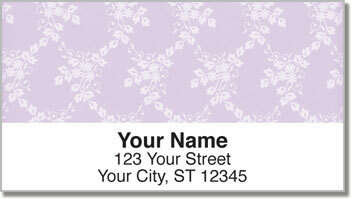 Every envelope will be transformed into something feminine and fashionable with this fantastic finishing touch. But what you'll really love about this product is how they make your life a little easier. 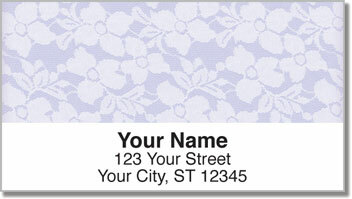 Forget the hassle of writing out your name and address by hand. These are self-adhesive labels. So all you have to do is peel and place! 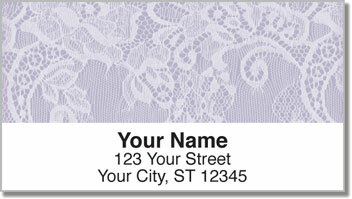 Make our Lace Address Labels yours today! Don't forget...you can also order matching personal checks.